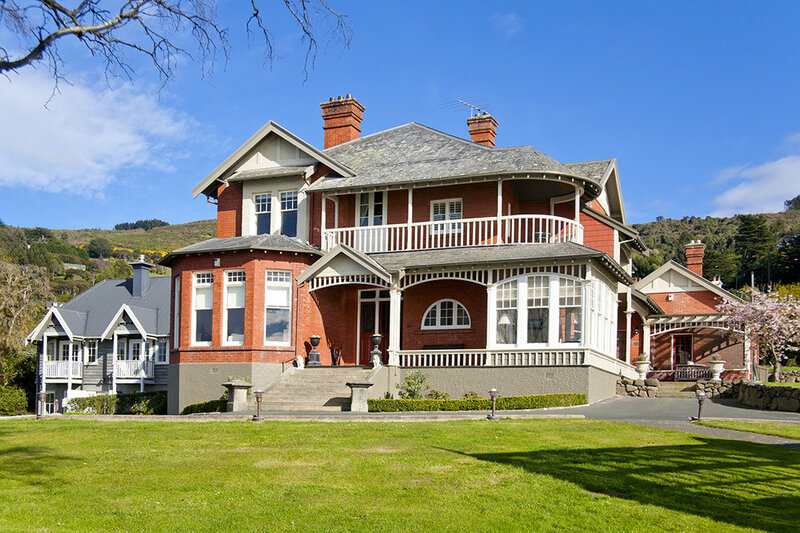 Stay in our Luxury Accommodation at one of New Zealand's finest historic homes protected by "The Historic Places Trust Of New Zealand"
St Leonards Lodge is situated on Otago Harbour with uninterrupted views of Otago Peninsula, just 7 minutes from the city centre, University of Otago and Rugby Stadium and 5 minutes from Port Chalmers, cafes, restaurants and art galleries. 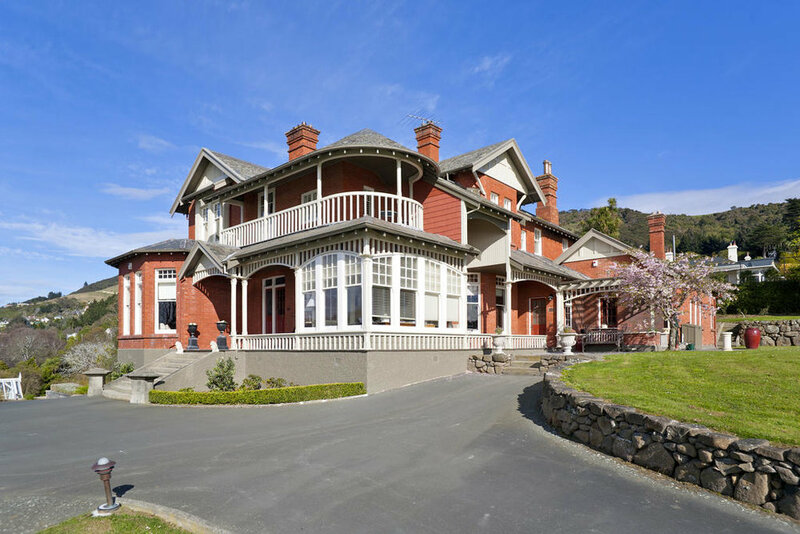 St Leonards Lodge consists of two houses- The original homestead "Aorangi" and The Tui House. 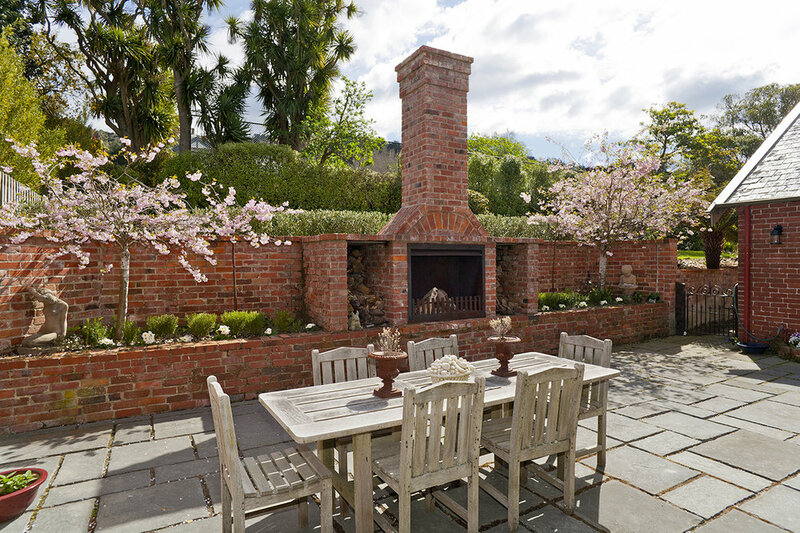 Aorangi has spacious and luxurious rooms with magnificent views and modern ensuite bathrooms. 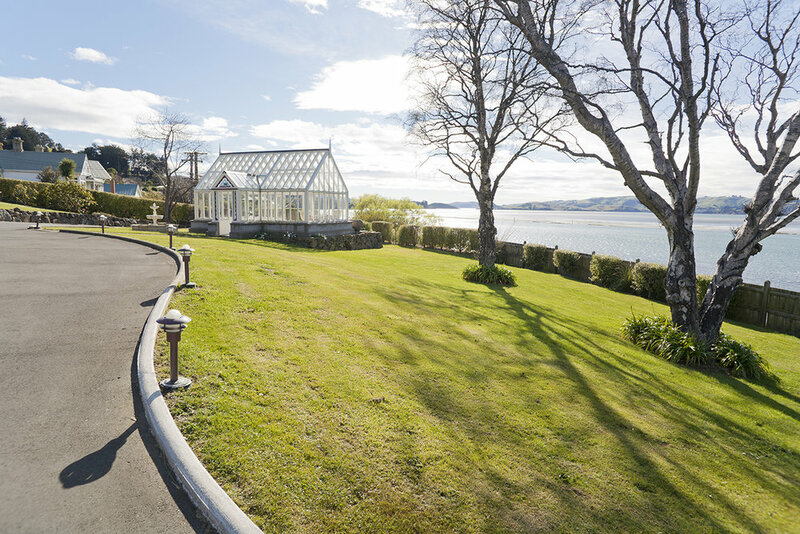 Alongside Aorangi sits the Tui House, which has views from every room. 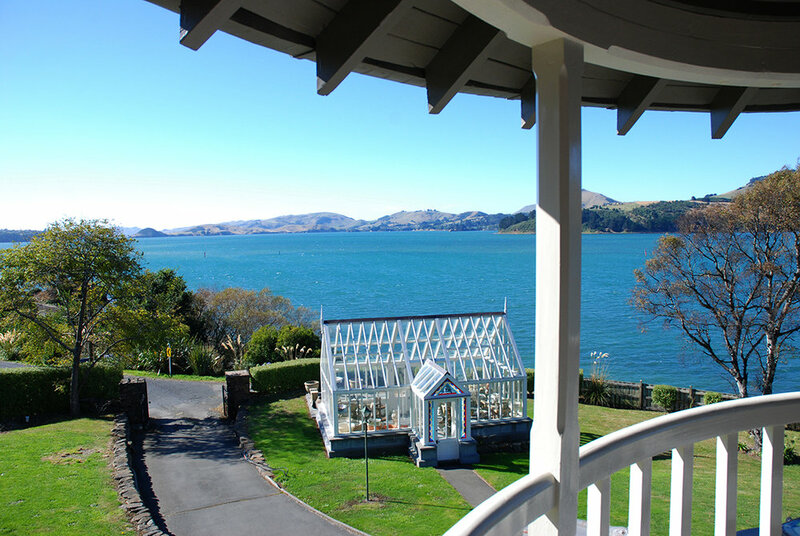 The Tui house has self contained facilities, which are available as 1, 2 or 3 bedroom accommodation. 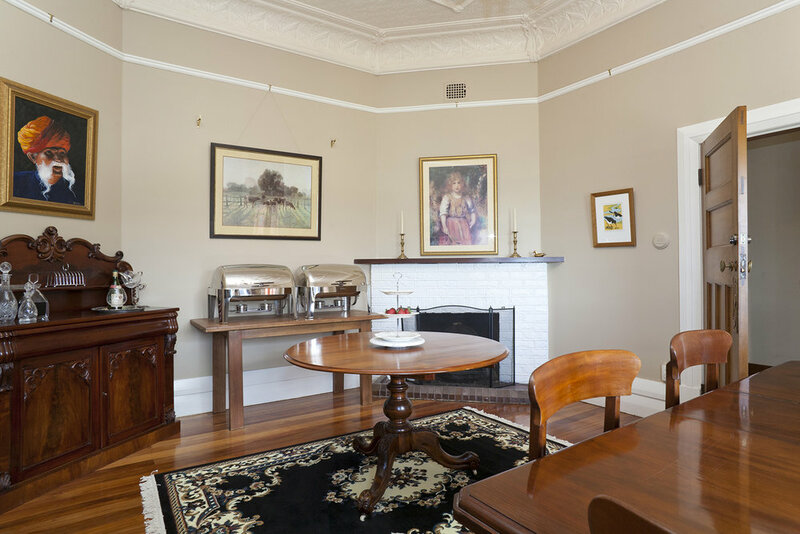 All bedrooms feature modern ensuite bathrooms. 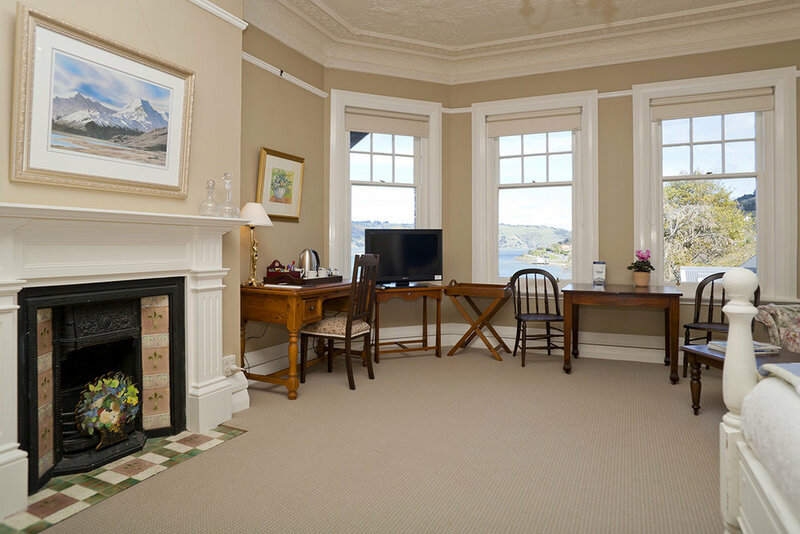 Whatever your reason for visiting Dunedin - St Leonards Lodge is the perfect base to explore the wonderful attractions of the city and Otago Peninsula.